What is On Tap licence? On-tap licensing means that the window for getting a bank license from RBI is open throughout the year. Earlier, RBI used to invite applications for giving bank licenses, and prospective players submitted their applications within a fixed time-frame as prescribed by RBI. This arrangement was not open all the time. Now, virtually anyone, who fulfils the criteria, can apply for a bank license anytime. 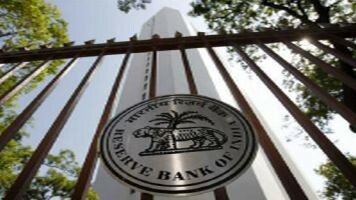 Further, RBI released the much-anticipated guidelines for ‘on tap’ universal banking licence, which excluded large industrial houses as eligible entities from the purview, however, permitted them to invest in banks up to 10 per cent. As per the “Guidelines for ‘on tap’ Licensing of Universal Banks in the Private Sector”, the initial minimum paid-up voting equity capital for a bank should be Rs 500 crore and thereafter, the bank should have a minimum net worth of Rs 500 crore at all times. Individuals/professionals who are ‘residents’ and have 10 years of experience in banking and finance at a senior level and existing non-banking financial companies (NBFCs) that are ‘controlled by residents’ and have a successful track record for at least 10 years can apply for the licence. Further, “Entities/Groups in the private sector that are ‘owned and controlled by residents’ and have a successful track record for at least 10 years, are permitted to apply for On Tap licence, provided if such entity/group has total assets of Rs 5,000 crore or more, and the non-financial business of the group does not account for 40 per cent or more in terms of Total Assets/in terms of Gross Income”.